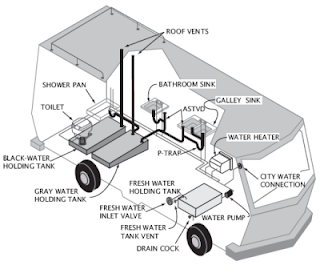 The freshwater systems in RVs are relatively simple. A series of inlets, valves, pipes, a pump, and the connections between each of those components - and that's about it. Usually, it's pretty easy to spot a problem as they usually manifest themselves as leaks. The problem is when the leak is intermittent, slow, in an area that is not easily viewed, or a combination of any of those. When we picked up our RV and had everything inspected, our water pump and freshwater delivery system were working just like they should. The pump was the requisite RV pump But after running all summer and not doing any dry camping, we hadn't tested out the water pump at all. Since summertime usually included "plugging in" at campgrounds to run the air conditioning, every campground we stayed also included city water hookups, so there was no need for a water pump at that time. Naturally, we figured that if it worked then, why wouldn't it work now - lesson learned! RVs are a lot like boats in a lot of ways. There are a lot of different systems - freshwater, graywater, blackwater, heating, cooling, moisture control (humidify/dehumidify) as well as the electrical and propane and/or diesel/gasoline. Each of these systems is connected via hoses or wires (electrical system example below). The problem with this is that because there are so many systems crammed into small (sometimes VERY small) spaces, finding a problem can prove to be very difficult. The issue that we faced with our water pump wasn't a "no power" or lack of operation, it just wasn't building pressure. The only thing it was doing was moving a few air bubbles in the line back and forth. This should have been an easy thing to troubleshoot. The pump lost suction somehow, so there's either an airlock (bubble of air inside of the pump head that causes excessive cavitation to the point where it can't pump water until the air is removed) or there is something else that is not allowing the water pump to draw water from the water storage tank. The easiest way to troubleshoot is to work backwards from where the problem started. Since ours was a suction issue, the first place I checked was the connection point between the intake of the pump and the output of the inline water filter. On my first observation, I thought that the reason for the problem was a missing seal, but upon further investigating, I discovered that the fitting was a compression fitting that required no seal. No luck there. Next, I checked the connection on the other side of the inline filter only to find them tight. The next step down the line was the check valve (check valves keep liquids flowing in one direction - in this case, the check valve keeps water flowing into the storage tank from the city water hookup if the valve is open - prevents backflow). The check valve is also connected on both sides by compression fittings. When I checked the output fitting, it was nice and tight requiring no pushing, etc, to get it to fit the pipe. However, on the intake side of the check valve, the fitting had worked itself loose enough to allow air to be sucked into the line thereby causing the airlock in the water pump. Easy fix! Never in easy spots to work! What if it wasn't as easy to fix? Well, I gave the abridged version of how this story actually went. I thought the water pump head was shot (the head is the part that propels and pressurizes water through the lines) so I went ahead and ordered a new pump to the tune of about $70. Of course, I replaced the "old" pump and put in the new one only to experience the same problem - the pump wasn't bad! Had I properly done effective troubleshooting of the problem, I would have found that the pump itself worked just fine. So what should I have done? First, identify what the problem is. Is the pump not turning on? Is the pump not pumping water? Is the pump not turning off? Is the pump moving water but not building pressure or enough pressure? This is a crucial step in troubleshooting. Once you identify what it is that is or is not happening, it makes it a lot easier to hone in on what's causing the issue. So my problem was that I wasn't pumping water at all. Like anything, there aren't any dumb questions, so I always ask myself those dumb questions. For this one, "Do you have water in the water tank?" it seems like a no-brainer. "Of course I have water in the water tank, I'm not an idiot!" Don't fall into this trap. Making a mistake doesn't make you an idiot, it makes you human. Also, are you sure that your water tank gauge is accurate? Once you've eliminated these as potential causes (kill two birds with one stone by putting some water in the tank - you can always drain it out later if you need), you can focus on what's actually the problem! So now you know that you've got water (not air) to pump. As long as you have a self priming pump that's operating correctly, you should be able to pull water from the storage tank with no problem. If you still can't, you now know the issue lies somewhere in the tank or between the tank and the pump - this is where I found my problem. So what if your pump isn't turning on at all? First things first, make sure you have power to the pump! This is accomplished by turning the pump switch on (check for illuminated light if yours has this option) then checking for 12VDC power with a test light on the wires connecting the pump. If no power is present, you will need to (again) trace your way back to the power source. Is an inline fuse blown? Is the water pump switch bad? Is there another water pump switch (common to have more than one) that may be bad? Is there a wire pinched, cut, or grounding out that's causing the problem? Once you eliminate these as potential causes, you can then go to the pump. Alternatively, you could run jumper lines from a known power source to the pump to test it before troubleshooting back the entire length of the wire run. The pump is running, but very little to no pressure is coming out of the lines. This could be a problem with the pump itself or with the freshwater delivery system. Again, work from the problem then downstream (if you know it's not a suction issue). Disconnect the output from the pump and connect a piece of tubing (most pumps come with a fitting to allow this) that will run to a bucket. 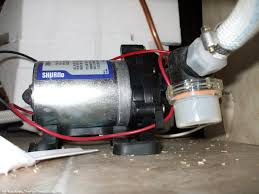 If the pump is pumping water from the freshwater tank to the bucket and you can crimp off the tubing and allow the pump to build pressure (it should shut off), then you know the pump is good but something downstream from it is causing the pressure loss. Take it step by step and look for leaks, etc, the would cause pressure losses in the lines. While many things in an RV can be repaired by someone handy, some things should be left to the professionals. If you've gone through the steps of troubleshooting and trying to diagnose the problem but simply can't figure out what's causing it, swallow your pride and take it to a repair facility. I hate doing it too, but sometimes it's not worth the time wasted to try to figure out how to fix something only to figure out that it's beyond your ability. Granted, anyone can learn to do anything, but sometimes (especially if you aren't comfortable with something) it's best left to those who are the most experienced. A water pump is a critical gadget utilized as a part of homes, modern plants, fish lakes, and structures and different sorts of organizations. 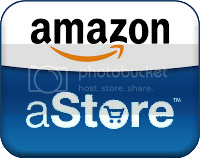 It is utilized to raise or move water and different liquids. It is likewise vital for giving us water day by day from under the ground.